The Snail…Caught At Last…It All Happened So Fast. Finally I caught the little tyke who was having nocturnal scoffing sessions on our future flowers…he got through a couple of trays of top quality Zinnias before the long arm of The Higgledy Army caught him in a dawn raid. A pot by pot search soon found the sneaky rascal cowering behind the plastic and soon came clean to the arresting officer. His scoffing days are over. He had started on the Dahlia’s…but we can all sleep soundly tonight…whew! Good show Higgledy Army…lashings of ginger beer all round! 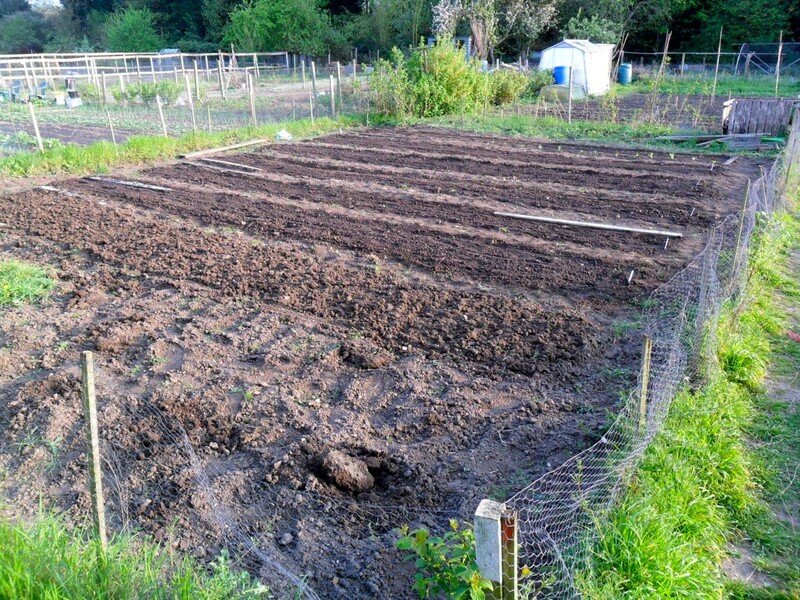 Linking nicely…to this our new Edible Flower plot on my allotment. Just a taster to see how it goes. This plot is about ten by ten and has seven beds. 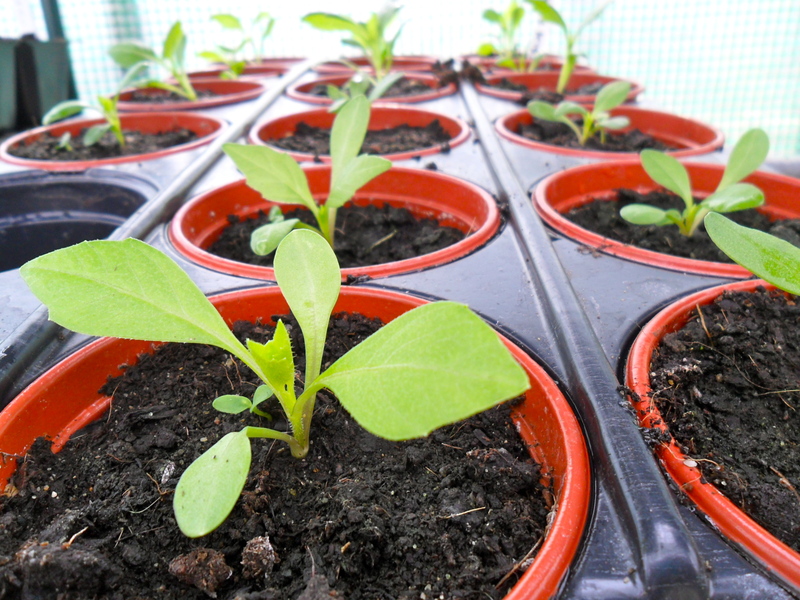 We have planted calendula, borage (Blue AND white), dill, garlic chives and cornflowers. We will plant nasturtiums at the end of next week. Obviously this plot is organic too. 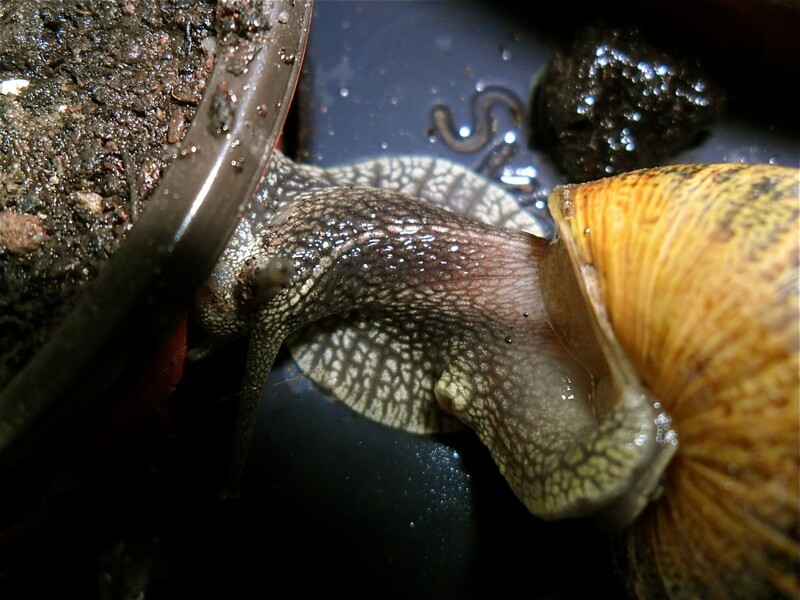 Can’t cope with that snail picture-just too terrifying! But the plot is impressive, is the fence to keep rabbits out?Just took my first Sarah Raven delivery today-some lovely little plants, carefully packaged, all potted on till my flower patch is ready-I seem to be digging up the remnants of an old outbuilding at the moment so progress has slowed. The Higgledy Empire seems to be getting ever larger, no wonder with such an efficient army! The empire is still no much bigger than that huge Island bed someone has just had dug!!! Always reeinshrfg to hear a rational answer.